Bottom Line: A savory, appetizing mead. 93 • Martin Brothers Wildflower Sweet Mead 14% (USA) $25.00. 84 • Martin Brothers Wildflower Dry Mead 14% (USA) $24.00. 91 • Martin Brothers Lucerne Blossom Mead 14% (USA) $26.00. 85 • Martin Brothers Orange Blossom Mead 14% (USA) $27.00. 85 • Martin Brothers Blueberry Blossom Mead 14% (USA) $32.00. 87 • Martin Brothers Orange Blossom Mead 14% (USA) $29.00. 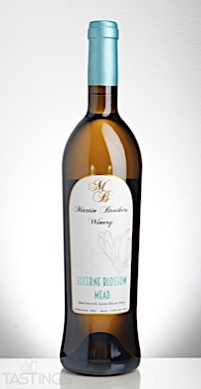 88 • Martin Brothers Lucerne Blossom Mead 14% (USA) $26.00. 89 • Martin Brothers Wildflower Sweet Mead 14% (USA) $25.00. 81 • Martin Brothers Wildflower Dry Mead 14% (USA) $24.00. Traditional meads should incorporate only honey as a fermentable ingredient, along with water and of course yeast. They can range in character from dry to semi-sweet to sweet, and may be sparkling or still. While not necessarily “traditional”, they may also be fortified and/or barrel-aged. Whether the honey used is a single varietal or a mixture, it is important for a successful traditional mead to evidence the floral nature of the honey; indeed, it should be the defining characteristic. Some acidity is often desired to balance sweetness, but this is not necessary. 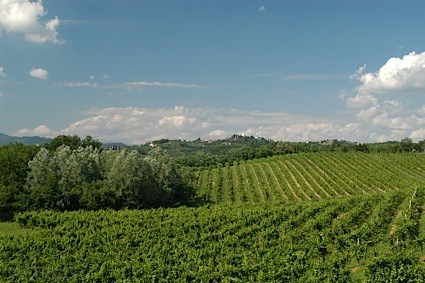 Lighter versions may be analogous to white wines of corresponding sweetness/dryness, but should present distinctly honeyed emphasis. Martin Brothers Lucerne Blossom Mead rating was calculated by tastings.com to be 91 points out of 100 on 12/8/2017. Please note that MSRP may have changed since the date of our review.